You may already have read about it on Ed's blog, but I wanted to draw your attention to the StreetSmart campaign running from 9 November - 24 December 2009. 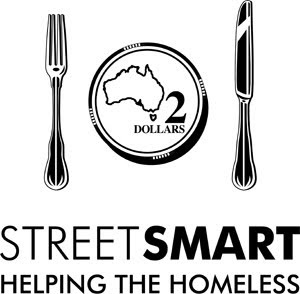 StreetSmart is a charity that supports and strengthens smaller, grassroots community organisations helping the homeless. A full list of restaurants participating in 2009 is here. If you're planning a meal out in the next six weeks, I urge you to consider choosing one of these (or one of the other participating restaurants) and donating to the campaign. 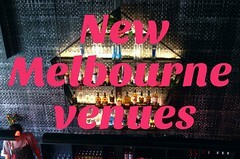 I'm planning on visiting a few of the ones I haven't been to yet (at this stage I'm most interested in checking out Libertine and The Deanery, but am open to suggestions - feel free to leave a comment nominating your favourite restaurant on the list), and will write them up on the blog. If you work in a restaurant that would like to participate in the campaign (and don't worry, it's not too late to join), find more info here. Let me know if you join the campaign, and I'll edit this post to include your details. I'm also happy to promote the details of any other restaurants already participating in the campaign that I haven't gotten around to reviewing yet. If you're a food blogger and would like to help promote the campaign, Ed has plenty of great ideas on his related post. To stay updated on StreetSmart news and events, follow @StreetSmartAust on Twitter or join its Facebook group. 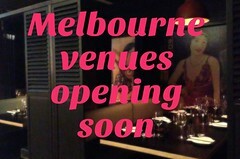 Oh, and speaking of Facebook: there's now a Facebook page for Melbourne Gastronome. If you're a fan, why not Become a Fan? As well as sending a notification when the blog is updated, I'll also be writing the occasional silly note on the Facebook page wall - and only on the Facebook page wall - about blog-related trivia (such as the one I wrote this week entitled "PR: how to irritate a food blogger while trying to score free advertising on their blog for the product you're flogging"). Great stuff Claire. It really is a wonderful initiative and I am glad to see it back. thanks for the great support Claire, the crew at StreetSmart really appreciate it. We need people to spread the word as much as possible and you've done just that - cheers!